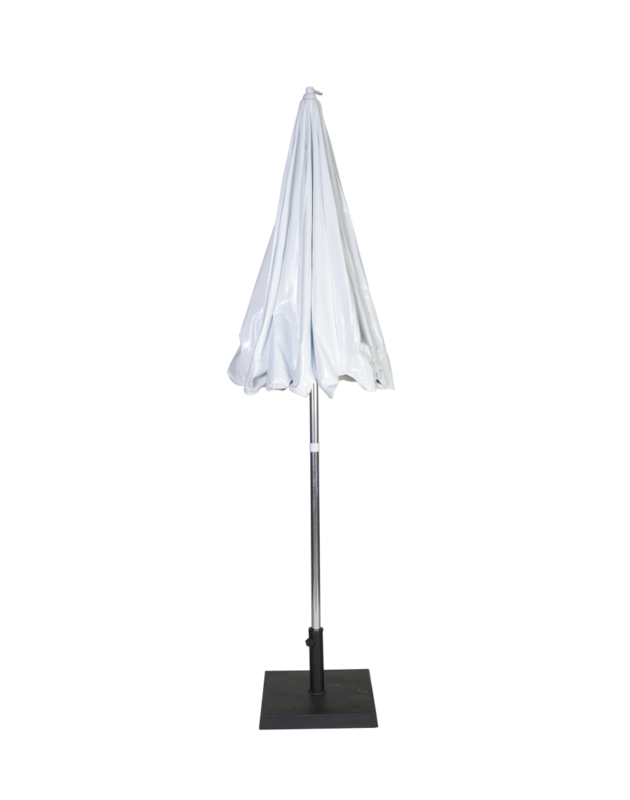 The white color for this umbrella goes well with the decor for most events. 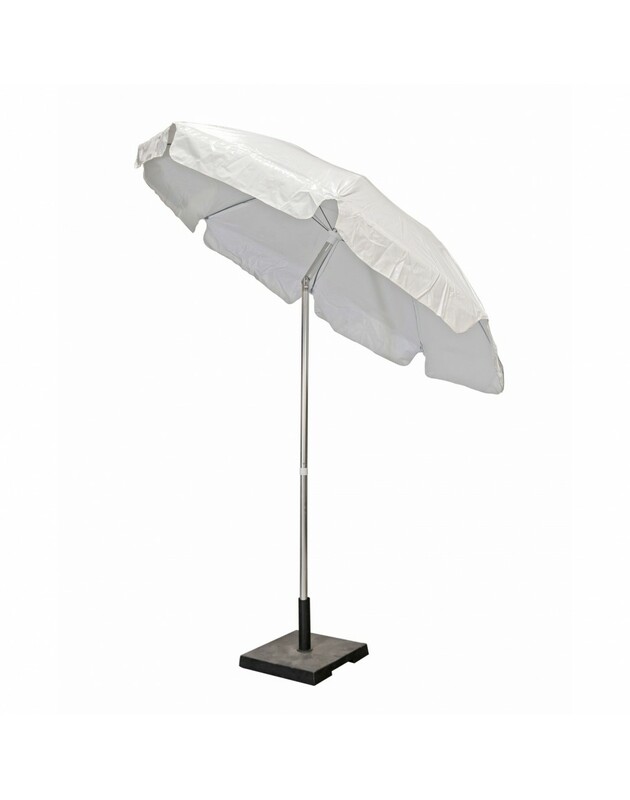 As a vinyl laminate material (rather than a woven material), better rain protection is offered. 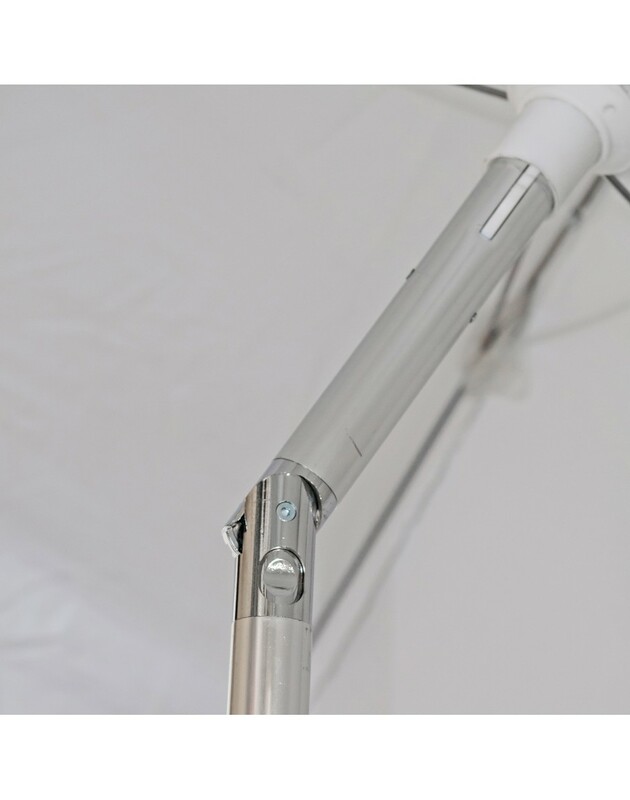 The sturdy, aluminum pole is rust-free and strong. 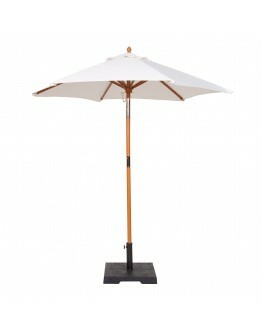 Make your party guests more comfortable with Patio Umbrellas from PRE ! 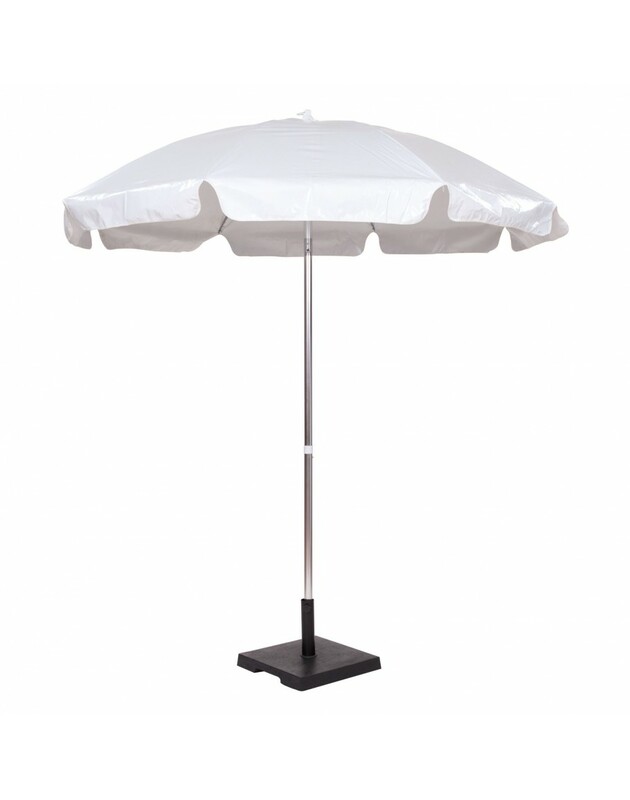 They will say you have it "made in the shade".